Technology can give organizations access to aggregate health data which gives valuable insights and helps determine priority focus areas for wellness programs catered specifically for the employee population. Wellness programs today have become a core component of HR strategy. In India too, as we brace ourselves for the epidemiological changes that will hit us, wellness programs are and will continue to also play an important role in cost control. Rising medical inflation, ever-increasing health insurance premiums and lifestyle trends amongst employees portend the urgent need for targeted, specific, evidence-based and effective programs that reduce health risk now more than ever. Technology can play an essential role in accomplishing this. 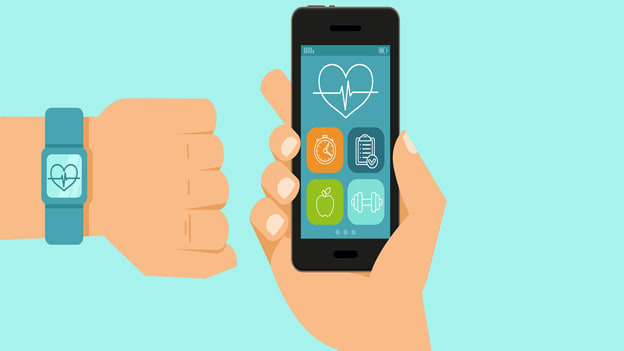 The wave of wearables, wellness apps, gamification technology, and even social media have definitely brought a lot of options to the table, and even helped bring elements of structure to wellness programs. But the market is flooded with vendors and it is essential to evaluate which ones will bring the most value to your organization. Wearables and apps focused on behavior change can give valuable insights into employee lifestyles and behavior trends which push employees to intervene for positive behavior change. Technology can enable organizations to reach out to employees regarding upcoming events, programs to boost participation and also use such platforms for health education. Leaderboards, interest groups and social media help employees connect with colleagues, track progress and stay on track towards achieving their personal health goals. Technology can give organizations access to aggregate health data which gives valuable insights and helps determine priority focus areas for wellness programs catered specifically for the employee population. Big data can also give insights on what's working and what's not to guide future investments in wellness programs. However, there are new laws like GDPR that one needs to be cognizant of. Family members are major influencers who contribute heavily to claims but are typically excluded in workplace wellness initiatives. Technology can increase the reach and effectiveness of wellness programs by including spouses/ parents by giving them access to tech platforms, which would otherwise prove difficult. While the number of vendors in the Indian market today is aplenty, with each one offering a tech component, it is important to understand what it is solving for, as even impressive solutions may not always be the right one for your organization. Stitching together the right components that collectively give the desired result can only be achieved with a thoroughly thought out blueprint for program design. Going back to the drawing board will help clarify who brings the right synergies and will prove to be the right partners for your organization. It is important here to remind ourselves that even while technology is a great enabler, wellness programs have been and will continue to be a combination of high tech and high touch because ultimately it is dealing with the most difficult task of changing human behaviour. Tech enablers will bring efficiency to a program, but the role of HR managers in defining, designing and directing programs remains at the core of successful wellness initiatives. Know more about employee wellness at the upcoming People Matters Total Rewards & Wellness Conclave 2019 on 16th January 2019 in New Delhi. Register here.